So relatively simple conversion from the version prepared for print, which can even be done through automated services like Smashwords or through tools now being offered by The Atavist and Vook (and others), and are handled within the workflows of many publishers at a trivial financial cost, delivers an alternative to the print version of a book that is commercially viable. It isn’t costly, it isn’t complicated, and the person who formerly read her favorite novelist or subject in print could switch to device reading with relatively little pain or friction. So far, this has worked to the benefit of established book publishers, their authors, and for fledgling new authors as well. Ebooks are generally cheaper than their print counterparts (and sometimes quite a bit cheaper, despite some propaganda to the contrary) but publishers’ margins haven’t suffered. Authors are getting a bit less on ebooks than they did on hardcovers in print, but they get a bit more than they did on paperbacks. There are vocal consumers who protest the agency pricing that keeps ebooks at $9.99 and up during their hardcover life, but Kobo, the only retailer to discuss these matters, reports more unit sales in the agency price bands than at the low end where the self-published authors are. We would not suggest that stability of prices or royalties or consumer behavior going forward is to be expected; we’re still in a time of great change. But, so far, the publishers of fiction and non-fiction that is delivered as straight text have had a relatively painless switchover from selling 100% of their output in print to selling an average of more than 20% of it in digital form, with shares as high as 50% being reported on some titles in the first weeks after publication. Until the arrival of the iPad in April of 2010 and then the NookColor and the tablets from Kindle, Nook, and Kobo which have become available more recently, the dedicated reading devices wouldn’t handle complex page layouts and the iPhone screen was far too small for illustrated material to be usefully displayed. Barnes & Noble made serious efforts to get children’s books available for their color screens about two years ago. Kobo seemed hopeful this Fall about what they’d see in ebook sales for graphic novels, but they only have 300 titles so far so I’m not sure what impact that can have. I have not seen any reports about how illustrated material is selling through either retailer. Some research we did says that Kobo has 995 titles “just for Kobo Vox: 33 art and travel, 332 comics and graphic novels, 29 home and food, 539 illustrated kids, 57 illustrated non-fiction, and 58 read-along kids. The breakdown for Kindle Fire isn’t as clearly spelled out, but they do have 100 “comics for Kindle Fire” and 691 “children’s books for Kindle Fire”. One interesting note is that the audio-video only works on Kindle’s iOS app,, not on the Kindle Fire device itself! Of course, the iPad started all this and might still be the best device for consuming color and illustrated material. Nook has by far the most illustrated material listed: 1210 children’s picture books and 596 “enhanced Nook books”. They might have as many as 5000 comics, graphic novels, and manga titles, but deeper investigation makes us question that number. They list 7700 “Cooking, Food, & Wine” titles for the Nook, but we don’t know how many of those are highly illustrated. I have been asking publishers about sales of their children’s and illustrated trade material. I haven’t found anybody yet that says they’re going well. On the children’s side, where there have been pockets of success, the one Big Six digital executive who expressed an opinion to me felt that price was killing sales for the ebook versions of successful franchises. Children’s apps from such distributors as Touchy Books are priced quite low, generally $2.99 and less. But many branded titles like Eloise are $9.99 and $12.99 and up! This executive points out that paying that price for a novel you will spend many hours with is much less painful than paying it for a children’s book your kid will work through in 15 minutes or less. Undoubtedly, another large factor mitigating against converting illustrated print book sales to digital is that ebooks don’t make good gifts and illustrated print books do. I recently spoke with CEOs of two companies that publish primarily illustrated books. Both of them report being stumped by the challenge of making their illustrated print output into something that will work commercially as an ebook. “Fixed page layout” is the solution du jour, delivering the book page as a unit but where the pinch-and-spread touchscreen technology enables the reader to expand type to make it readable or pictures to make them more visible. Of course, doing that means that the whole page no longer fits on the screen. And that means that the smooth experience devices offer for immersive reading, where page-turning is effortless and one can read the text without stopping to think about the form factor, is interrupted and not nearly as satisfactory for books delivered that way. More complex page layouts are more expensive to convert, can present thorny rights issues for images, and the books haven’t sold well in digital form. On top of that, the retailers can (and often do) ask for their own specific customization of the files. These factors combine to create a very unattractive commercial equation. 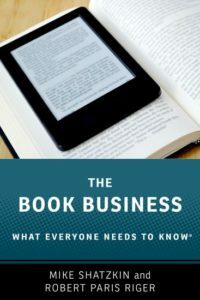 Until the Fall of 2011, one ebook retailer told me there were 10,000 or fewer illustrated ebooks in the marketplace, out of a total of many hundreds of thousands, perhaps more than a million, straight text titles. The plethora of larger-screen and color devices that hit the market this past fall created a burst of conversion activity of these titles, perhaps doubling the number in the marketplace during the last quarter. We await reporting on the impact of the new devices and the additional illustrated product in the market, but nobody’s reported any breakout successes yet. This has to be frightening to anybody in the illustrated book business. Bookstores are disappearing. Sales are moving to digital. We’ve had an iPad in the marketplace for almost two years. And we have as yet discovered no formula for success to convert a successful illustrated print book to a successful illustrated ebook. While many children’s books share a commercial challenge with adult books that aren’t straight immersive reading, they have more differences than similarities. Once you get past the commonality of “more expensive to create for less of a demonstrated market”, things really diverge. The adult book challenges are much more varied. There are, broadly speaking, two kinds of illustrated books: those illustrated for beauty and those illustrated to inform. The latter require tight control of the placement of illustrations and captions in relation to the text, just the kind of challenge that causes agita when readying content for different sized screens. And the beauty books, of course, have to be carefully designed for aesthetic satisfaction. But it isn’t just illustrations that stamp a book as “not immersive reading.” Books of content chunks, like cookbooks or travel guides, are also not “optimized” merely by making them reflowable. There are some fabulous apps for both (“How to Cook Everything” by Mark Bittman and ones pulled from Rick Steves’ books like guides to the Louvre and Versailles), but these are not direct “lifts” from the books. They are separately constructed products. However well they sell, they don’t provide the same cost synergy with the book production that the publishers of novels and biographies are getting. These very well-done apps underscore one of the problems with simple “conversion” of books other than straight text for immersive reading. If I get all the words in the novel, nothing inherently provokes the question of whether something more should have been done to make it better. But whereas a printed book requires a still picture, in a digital rendition that could just as well be a video or an animation. Remaking those choices is very expensive; ignoring them means delivering content the consumer can easily imagine being better than it is. As less and less shelf space is allocated to books of immersive reading, there may be some temporary opportunity opened up for the publishers of other books. Books and Books, a chain begun in Miami which is catching attention for its survival strategies during what are generally tough times for bookstores, is famously emphasizing illustrated books. Not only do these not convert well to ebooks, they aren’t as well displayed in an online shopping environment. At the same time, there are specialty retailers like JoAnn Stores and Michaels that continue to sell books related to their primary businesses selling crafts and hobby materials. These outlets become more important to publishers as bookstore shelf space disappears, but they also become more important to consumers. Since the content these consumers want does not convert as well to digital consumption, it stands to reason that they’ll still want the printed books for some time to come. Publishers of these books will be redoubling their efforts to cover these stores and enable them to substitute for the bookstores being lost. The publishers I spoke to recently have already “verticalized”; they’ve been publishing in very specific non-fiction subject niches. They’ve been focusing efforts on building up their special sales departments, the part of a book publisher that looks for sales opportunities outside the bookstore and library channels which publishers usually call home. As digital shifts continue to reduce bookstore shelf space and the readers of novels and biographies spend less time in bookstores where they might see the children’s books and art books and how-to books that don’t work as well on devices, more imagination and innovation will be required of publishers who formerly could make their living selling their wares through those stores. One example is what Workman has done with their soft-reference franchise “1000 Places to See Before You Die”, which they are trying to turn into a monetizable community. This is a good idea and nicely executed; whether it will turn into a profitable one remains to be seen. And, of course, it is not a template that can be broadly applied. This much is clear. Publishers of immersive reading can, at least in the short run, largely count on keeping the sales from readers they’ve always had. The problem for these publishers will be keeping the big authors (at a sustainable royalty rate) if the business becomes largely digital and most readers can be accessed without the capabilities of a major company operating at scale. The publishers of the rest of the book output who have depended on the bookstore network would appear to have a far more onerous challenge. They have to largely reinvent their product and perhaps their business models to get some digital revenue without any blueprint for success. In fact, there may not be a replicable template for how we satisfy consumers of much of the non-immersive content which for hundreds of years has been presented in books. But the publishers of those books have no choice except to look for one. With increasing urgency. Of course, the Holy Grail is to monetize the content in other ways, made possible by XML workflows, taxonomies, and lots of intelligent tagging. There are instances where this works: Wiley and Random House both have robust b2b businesses with their travel content. But it is a significant incremental effort to go from being a book publisher, even a niche-y one, to creating a profitable business model around multiple uses of the content and the community the content attracts. It has been the mission of the company that is our partner in Digital Book World, F+W Media. Their scale enables them to spread the cost of investments across a substantial number of communities. This is not just about technology. For example, their crack events team, which makes the complex DBW event run like an atomic clock, is employed by a variety of the 20 or more F+W communities over the course of the year. One of the DBW sessions this year is “The Digital Future for the Illustrated Book” which will feature speakers from Kobo, Time Home Entertainment, Quarto Publishing, and Aptara. One other trick being employed worth mentioning is a digital add-on to the print book. Melville House, an innovative publisher tied to a bookstore in Brooklyn, calls these web-based efforts “hybrid books” and they call the enhancements “illuminations.” A variation on the theme has been employed by the innovative publisher Black Dog & Leventhal; they add a CD-Rom with all the artwork in the Louvre to add to their Louvre book and all the cartoons in the history of New Yorker, which would never fit into a print book. It was a BDL book on The Elements which spawned the breakthrough iPad app. These are useful ideas, but I’m not sure they solve the existential problem publishers are facing.